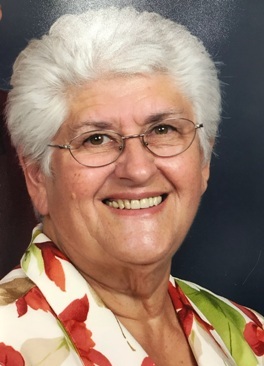 Alice L. Gangle, 78, of Fremont, OH passed away on Monday, September 17, 2018 at Heritage Village of Clyde. She was born January 9, 1940 in Toledo, OH to Virgil and Marie (Garn) Borton. She was a 1958 graduate of Gibsonburg High School. Alice married Vincent L. Gangle on June 27, 1959 at Grace Lutheran Church in Fremont and he survives. She was a homemaker and worked for J.C. Penny and then for Hostess Bakery. Alice was a member of Grace Community Church. She had a love for children and for many years she taught Child Evangelism Fellowship. She also taught at the Chapel on Wheels at the Sandusky County Fair. Alice enjoyed reading, especially her bible, and spending time with her grandchildren. Her heart was very hospitable, so much so that she enjoyed inviting people into her home to cook and bake for them. Alice is survived by her husband of fifty-nine years, Vincent L. Gangle, Fremont, OH; children, Dean Gangle, Fremont, OH, Dawn (Steven) Poe, Put-in-Bay, OH, Annette (Ken) Setzler, Akron, OH; sister, Ruth (Edwin) Davis, Findlay, OH; grandchildren, Steven (Nichole) Poe, Austin (Marissa) Poe, Madison Gangle, Amanda (John) Kuieck, Graham (Andrea) Setzler, Cooper and Quinn Setzler; five great Grandchildren. She was preceded in death by her parents and brother, Martin Borton. It was Alice’s wishes to donate her body to science. A Memorial Service will be held on Saturday, September 22, 2018, 11:00 a.m. at Grace Community Church, 900 Smith Rd, Fremont, OH. There will be an hour of visitation at church prior to the service. In lieu of flowers, memorials can be made to Grace Community Church, Alzheimer’s Association, 225 N. Michigan Ave., Fl. 17, Chicago, IL 60601 or Child Evangelism Fellowship, 17482 State Hwy M, Warrenton, Missouri 63383. Mra Alice, was a sweetheart! She used to visit my mom at Bethesda. I have good memories oh her. Happy Heavenly Rest!! My thoughts and prayers for Alice’s family. We all talked about her at our 60th Class Reunion this past Saturday evening. May God comfort each of you. I am so sorry for your loss. I always enjoyed the stories my dad told me about Alice, Ruth and Martin. I have very good memories of Alice baking us a bunny rabbit Easter cake❤️. My thoughts and prayers are with you all at this time. There are so many memories being recalled of those days when we were growing up together. Good memories. I will always remember her kindness. Alice has been “gathered unto her people”. I am glad for her. May God bless and comfort you all. So sorry for your lost she was a special lady.